As influential as Detroit and Chicago house sounds were (and still are), there simply aren’t that many producers these days. Those that are active often appear on European imprints. While this has resulted in some wonderful releases, I wonder how well non-locals can keep their ears to the ground. For this series, Dutch label Rush Hour wisely commissioned Detroit native Rick Wilhite to curate. Wilhite selected tracks from a who’s who of both established and up and coming producers. 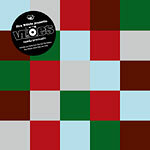 While the series began this spring, the fifth and final vinyl installment was just released, along with CD and digital versions. As a whole, this is the strongest collection of Midwestern dance music in years. http://charlotteskitchendiary.com/2013/12/10/some-news-from-me/ Theo Parrish begins with an off-kilter, bluesy piece. Multiple samples, from voices to violins, mix in and out. Near the end, a weird, clunky bassline interacts with live-sounding percussion. “Ninja,” by Chicago’s Buy Phentermine Pakistan Glenn Underground, is jazzy, with pure synth lines soloing over a speedy beat. http://charlotteskitchendiary.com/category/my-books/ Ricardo Miranda (who just started his own label, also in Chicago) turns sirens and trains into a summery song on “Urbanism.” He uses a tempo similar to Glenn’s, but introduces a completely different energy. Wilhite’s voice emerges with his “Godson Remix” of Urban Tribe’s classic “D2000.” Jazzy keys flit over a house beat. Wilhite collaborates with Kyle Hall for “Microburst.” Snares rat-a-tat over muffled kick drum and moody, manipulated snippets of melody. Completing the suite is “Analog Love” by The Godson alone. It’s his take on Ron Hardy’s famous “Love & Happiness” edit. First Choice’s samples echo over funky organ bars and hard, heavy drum machine beats. Lorazepam Uk Buy Marcellus Pittman’s “In Due Time” seems of the same era as his FXHE work. Brittle synths and vibes form a dense texture over a lattice of unchanging filtered drum ticks. Kyle Hall’s “After Fall” also owes a lot to Omar-S. A sampled loop and simple beat are EQed and echoed, apparently live on a mid-fi mixer. Carl Craig, Kenny Dixon Jr, Shake, and Sherard Ingram are identified as Urban Tribe on “My First Mistake,” which seems Mowax era. A disco loop and cheeky samples remind that Detroit artists are expert plunderers. http://charlotteskitchendiary.com/www_charlotteskitchendiary_com.rar Vincent Halliburton has appeared on Ferrispark and Psychostasia Recordings. “Something I Feel” builds slowly around an ascending bassline. The payoff is subtle but effective: sparkling treble electronics. Buy Discount Phentermine Online Marc King’s “Can U Feel It” is vocal house reminiscent of classic Chez Damier. “Kaliedescope” by Derwyn Hall is lo-fi and gritty. Muffled beats and bass bump along, then fade to crackles and pops. TJ & DJ Raybone’s “Gone,” by contrast, is crisp and clear. I like the bassline and keys but could do without the cowbell. “Nova 2,” credited to The Godson & DJ Raybone, is also quite digital. A simple beat is front and center, but in the background fiddles hustle and the bass keeps moving. It’s an odd way to end the compilation, but it certainly demonstrates the wide range of music Wilhite enjoys. Now the question is, when will he start his own label? Tagged rick-wilhite, rush-hour, theo-parrish, urban-tribe.